Mara Helmuth, Professor, is a composer with special interest in electroacoustic and computer music and research. Her compositions have received numerous performances in the U.S., Canada, Europe, and Asia. Her recordings include Sounding Out! (Everglade, 2010), Sound Collaborations, v. 36 of Centaur Records Consortium to Distribute Computer Music Series (CRC 2903, 2007), Implements of Actuation, including collaborations with Allen Otte, released in January, 2001 by the Electronic Music Foundation (EMF 023), Open Space CD 16 and the 50th Anniversary University of Illinois Experimental Music Studios commemorative collection (2008). She has participated in research involving granular synthesis, object-oriented and graphical user interface programming, Internet 2 applications and most currently, wireless sensors. She has created the composition applications StochGran and Patchmix, and the improvisation application Soundmesh. 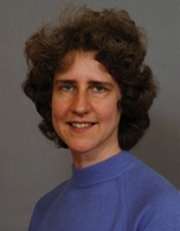 Her articles concerning computer and electronic music have appeared in the Journal for New Music Research, Perspectives of New Music, Computer Music Journal, and Computers and Mathematics with Applications, and a chapters in the monographs Analytical Methods of Electroacoustic Music (Simoni, ed.) and Audible Traces (Barkin and Hamessley, ed.). Helmuth has received grants from the University of Cincinnati University Research Council, the Tangeman Sacred Music Center, Open Meadows Foundation, the Brazos Valley Arts Council and Texas A&M's Associate Provost for Computing. Dr. Helmuth plays the piano, and is currently learning to play the Chinese qin to incorporate in her compositions. She created two interactive installations for the SinoNordic Arts Space in Beijing. She has been on the board of directors of the International Computer Music Association and Society of Electroacoustic Music in the United States, and is a recent ICMA President. DMA, Columbia University , New York, NY. BA and MM, University of Illinois, Urbana, IL. (Collaborator), Helmuth, Margaret; Vogel, Craig, Duchossois: Chime Development, Live Well Collaborative, Inc.. (Project Agreement), $30,022.00. 08-01-2012 to 07-31-2013. Status: Active. Mara Helmuth (2006). Barry Truax’s Riverrun. Analytical Methods of Electroacoustic Music (pp.187). New York: Taylor and Francis. Mara Helumth (2010). Wireless Sensor Networks and Computer Music, Dance and Installation Implementations International Computer Music Conference, San Francisco, CA. Mara Helmuth (2008). Intercultural Exploration International Computer Music Conference. (2010). Wireless Sensor Networks and Computer Music, Dance and Installation Implementations. San Francisco, CA.